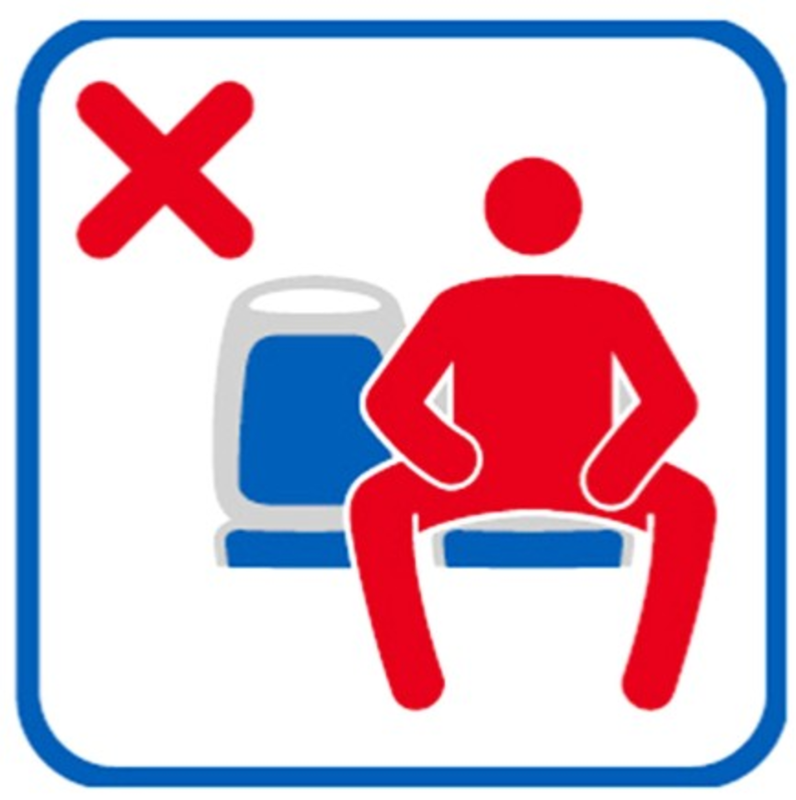 Recently the city of Madrid has taken measures to limit "Manspreading" on public transportation. Manpreading is the colloquial term for the "Seated Crotch Display" wherein a person (almost always a man) sits with his legs spread wide - thus exposing his crotch. The feet are most frequently positioned sole-downward and the elbows are often protruding laterally in a "maximum space mode". On a bus, subway, plane, or in other public areas - manspreading is done at the expense - often dramatically - of those seated adjacently. In crowded public situations, we typically suspend our personal space (intimate space) norms which would never apply to other scenarios. For example, we may touch shoulders, elbows, and upper arms of those sitting next to us on a crowded airplane, because we have no choice and the idea of shared space takes over. But not everyone observes this in equal fashion. Many men will often default into a manspreading configuration. And while it's certainly no excuse, some men will go a lifetime without realizing what they're doing makes those seated next to them emotionally (and physically) very uncomfortable. Why do men do this? There are several reasons. In a public setting, the seated crotch display is a mode of asserting dominance - very much akin to young male gorillas beating on their chests. Manspreading in these crowed settings is a type of alpha/hyper-alpha, and often narcissistic behavior. Men who are in straight, platonic relationships will often sit around a table in this manner. And provided they're relatively equal in the pecking order, men will also do this in a friendly professional/work setting. Men who manspread frequently very likely have low empathy quotients. Although most commonly exhibited by straight men, people of all sexual orientations will also sit in a seated crotch display fashion when sexually attracted to another person. In such cases they usually "crotch point" (and foot point) toward the desired individual. A tremendous problem is created, however, when men use the seated crotch display in professional settings when women are present - or when a subordinate male sits in this manner in the presence of his superior (regardless of their gender). It's particularly common and extremely offensive in the case of male-female business settings. Many men won't ever realize just how often this, and similar actions, will evoke strong negative conditioned responses in women. This occurs to the point of creating other secondary problems, which on the surface don't seem to be related, yet will precipitate the killing of potential sales and negotiations. 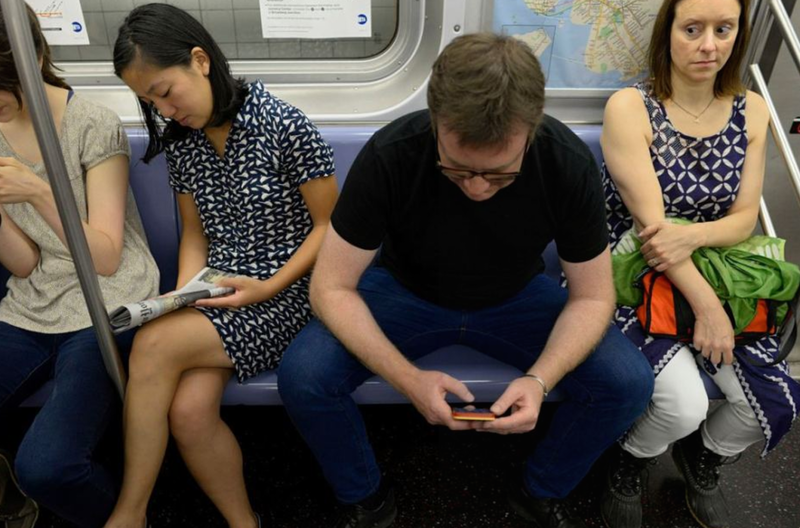 In such interactions, manspreading is very frequently accompanied by other alpha, hyper-alpha, and narcissistic verbal language, paralanguage, and body language behavior.